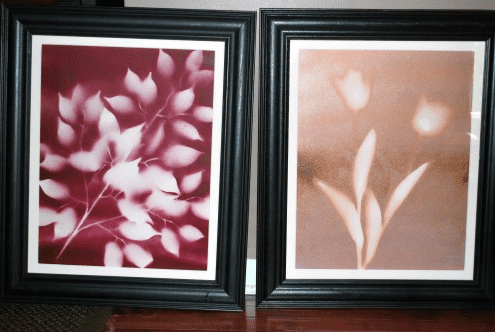 I grew up making frequent visits to San Francisco’s Mission District. Being Hispanic, it was there we could stock up on some of our favorite foods to take back home with us. However, I never had a chance to explore some of the hidden gems in the district. We usually went to the same places, buying the ingredients we needed for recipes and left. 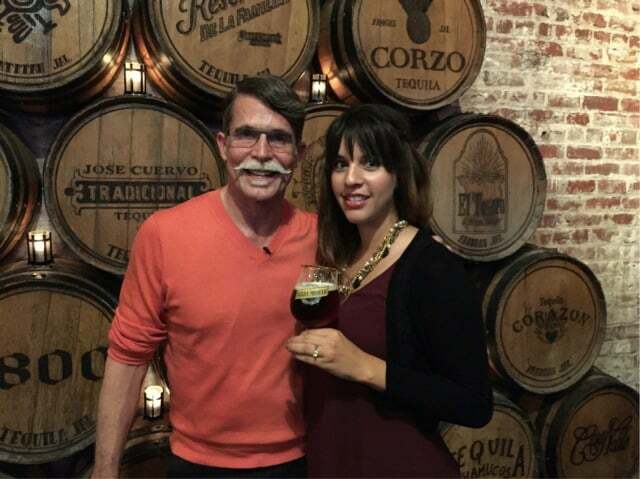 Recently I had a once-in-a-lifetime opportunity from Negra Modelo to eat my way through the Mission District with Chef Rick Bayless. 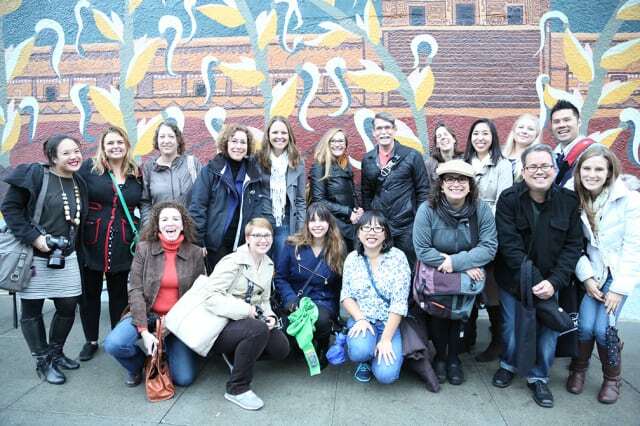 During our food tour we visited just a fraction of the wonderful Mexican eateries the Mission District has to offer. During our first stop on the food tour I got a history lesson on masa. Masa is the Spanish word for dough, (cornmeal). 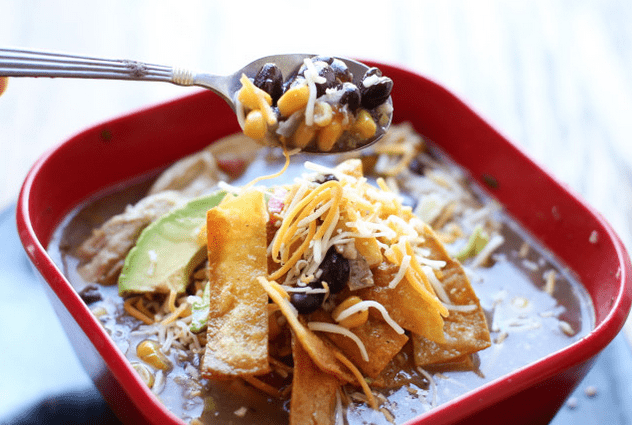 Unlike many others, this eatery produces masa daily from scratch by cooking dry corn, lime and water. If you want some true authentic masas, this is the place to go. Every morning at 2 a.m. they grind fresh masas by hand, from scratch. 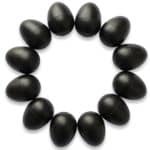 During our time there I learned that each person can make about 20 dozen an hour. Yes, an hour! 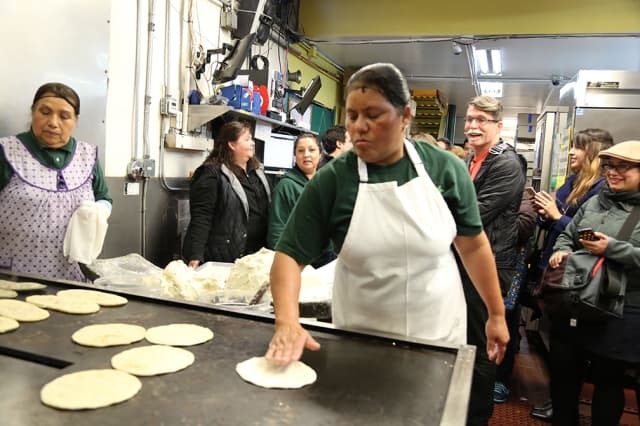 With the masas, they make delicious huaraches. Huaraches are a popular Mexican dish with fried masa at the base, topped with tasty ingredients. We had a chance to taste a variety of huaraches during our first stop which washed down well with a chilled glass of Negra Modelo. On our second stop we visited a popular meat market. 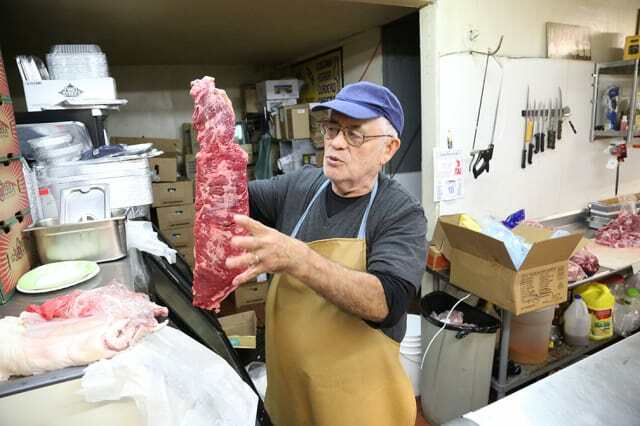 The owner reminded me so much of my late grandfather and I enjoyed listening as he educated us on the Mexican meat Arrachera (flap meat). 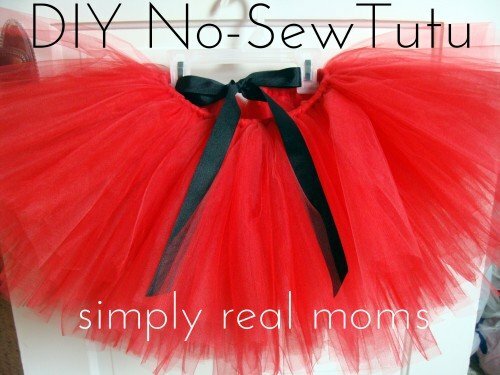 During our time with him we learned how his shop popularized this cut. Unfortunately, he introduced someone to the once over looked flap meat, and now a big American meat packaging company is profiting from it. But that doesn’t stop this owner. The love put into his meat shows (well, tastes)— it’s tender, juicy, and delicious. On our third stop, we visited a Mexican bakery called La Reyna. La Reyna which was founded by the Gutierrez Family since 1965 and let me just say, they are doing something right. 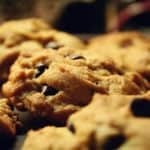 They are committed to providing the best and most authentic Mexican pastry possible. I don’t have the biggest sweet tooth but I couldn’t stop eating their desserts. 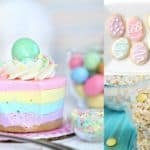 The bread pudding, pan dulce, and cheesecake are some of their most popular desserts. 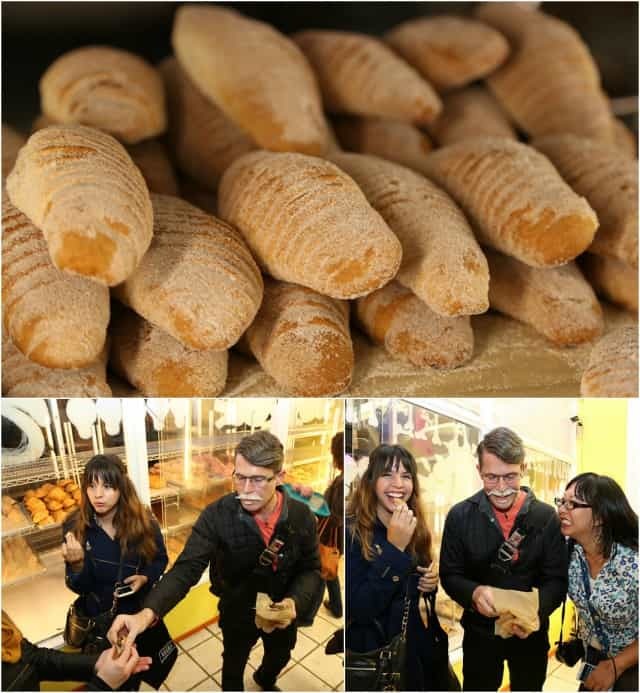 While we were visiting, plenty of customers stopped by to pick up their favorite Mexican pastries, even at 6 p.m! 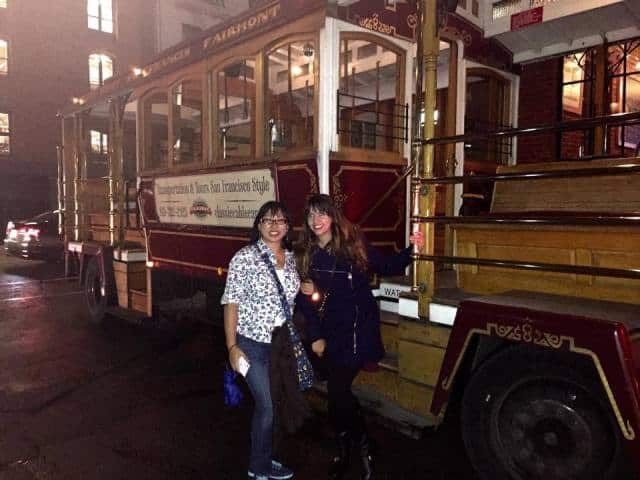 After the Mission district food tour we were picked up in true San Francisco style—our very own trolley/cable car— to take us to our final destination. Our final stop was all about celebrating Negra Modelo. The theme of the night was #ThePerfectComplement and we were able to taste some unique dishes that complemented Negra Modelo perfectly. 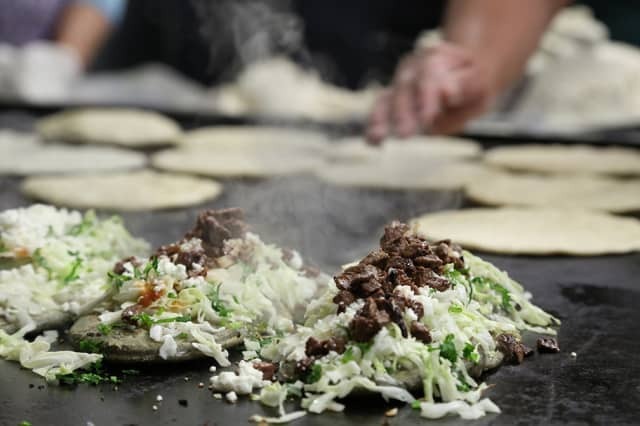 Foods like Tres Chipachole, Tacos Vallarta, Tortitas Ahogadas, and Tacos De Lengua. Negra Modelo has been brewed since 1925 and is my favorite Mexican beer! It is a Munich Dunkel style lager by slow roasting caramel malts, a technique that makes the brewing process last twice as long as other beers. 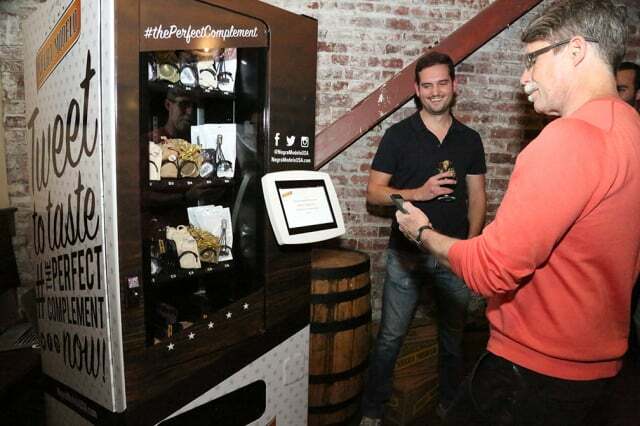 After we enjoyed a few cold pours of Negra Modelo, they surprised us with a cutting-edge digital vending machine that was powered up by sending tweets. Guests of the food tour wrote a tweet on the attached digital screen, from there we received a code, after the code had been received we went to our phones, entered the code and pushed the tweet through. After the tweet went through, a prize came out! 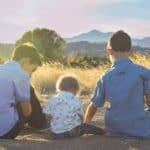 It sounds complicated, but trust me… it was easy and probably one of the coolest things I have ever seen. Plus, I got one of the major prizes! I pulled out the word “chilies” which meant not only would Chef Rick Bayless come up and educated us on chilies used in Mexico, but I won a pretty sweet gift box full of chilies. 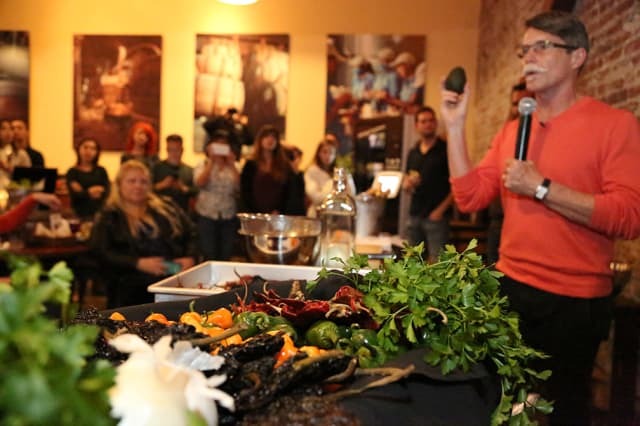 Chef Rick Bayless even gave demonstrations and educated us on avocados, onions, and of course, the foods we had during the food tour. Negra Modelo is the perfect complement to great food. 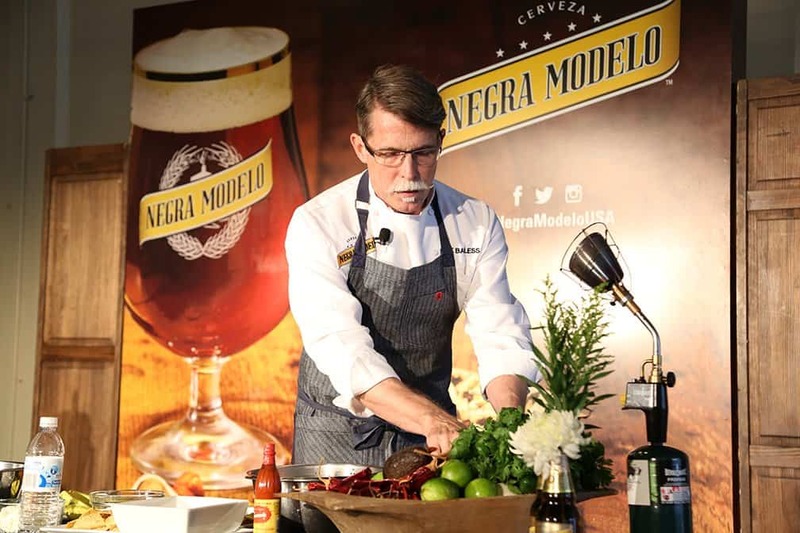 With the partnership with Chef Rick Bayless you can see how Negra Modelo is great either as an ingredient in cooking or a beer that pairs so well. 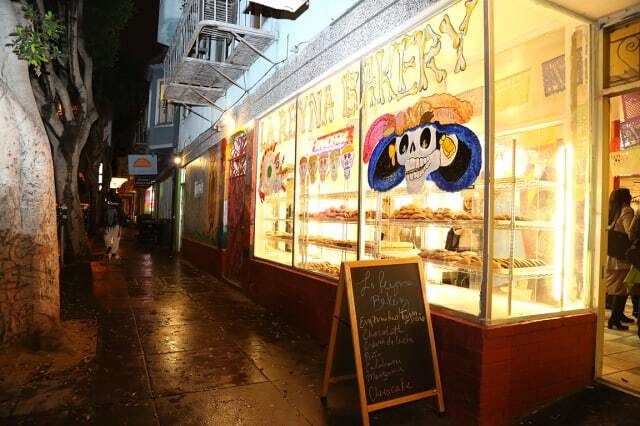 I can’t wait to take my husband back to these gems in San Francisco’s Mission District and of course, share a cold Negra Modelo while we are at it! 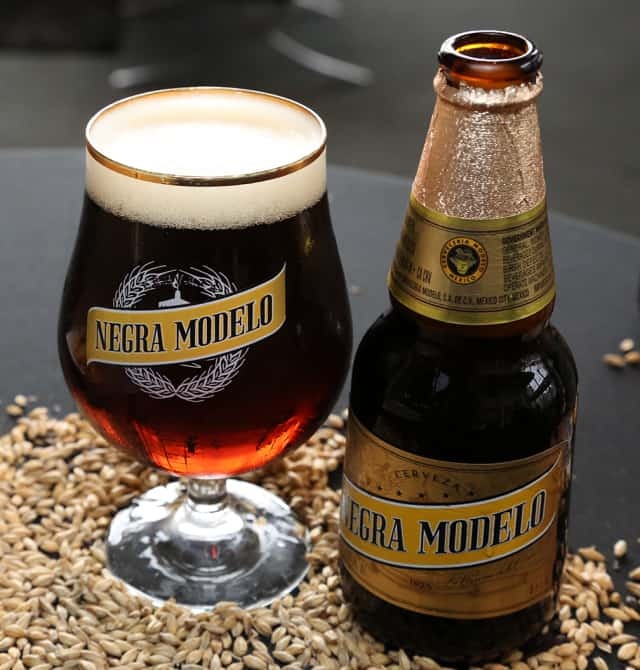 To learn more about Negra Modelo, visit them on Facebook, Twitter, Instagram, or follow #ThePerfectComplement for more ideas on how to pair Negra Modelo with food! Disclosure: This post was sponsored by Negra Modelo, but all opinions stated are my own. What is 16 + 7 ?